All ASHI members or others permitted to use the ASHI logo may not be listed here. 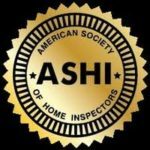 a professional home inspection that combines the highest technical skills with superior customer service. The list may also include ASHI Associates, who are working their way toward meeting ASHI’s requirements. Statewide Home Inspection Service, Ltd.
Rizzi Home Inspection Services, Inc. Above Board Home Inspections, Inc.